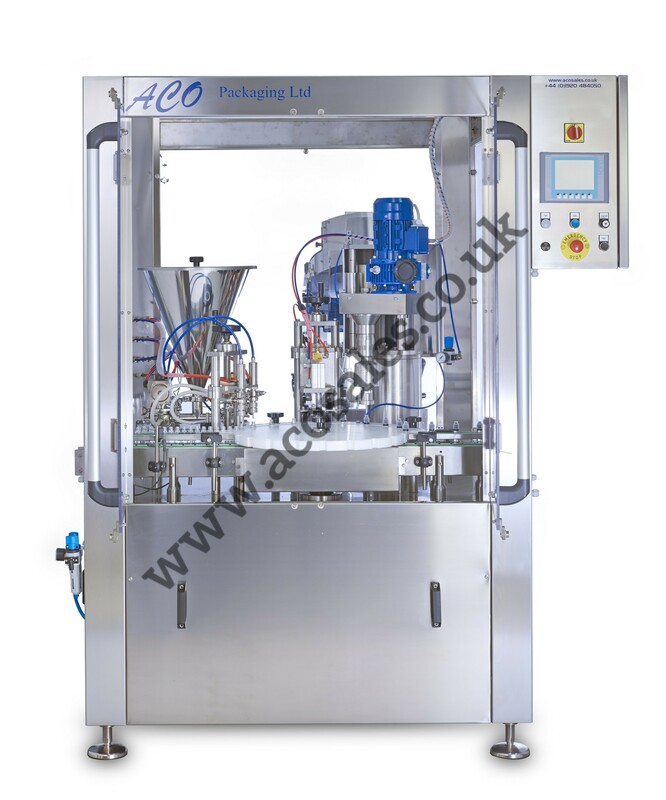 The P2-1 filling/capping machine is suitable for filling plastic bottles with e-liquid by means of volumetric piston filling with a 5-100 ml dosing range providing a very accurate dose and for applying and closing 1 size of plastic screw cap. 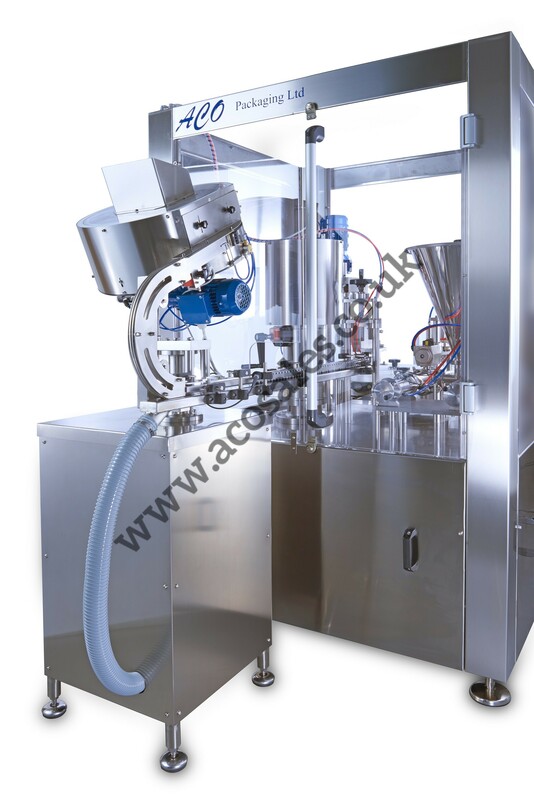 The filling and capping stations are closed by a safety guard with front and back access doors. 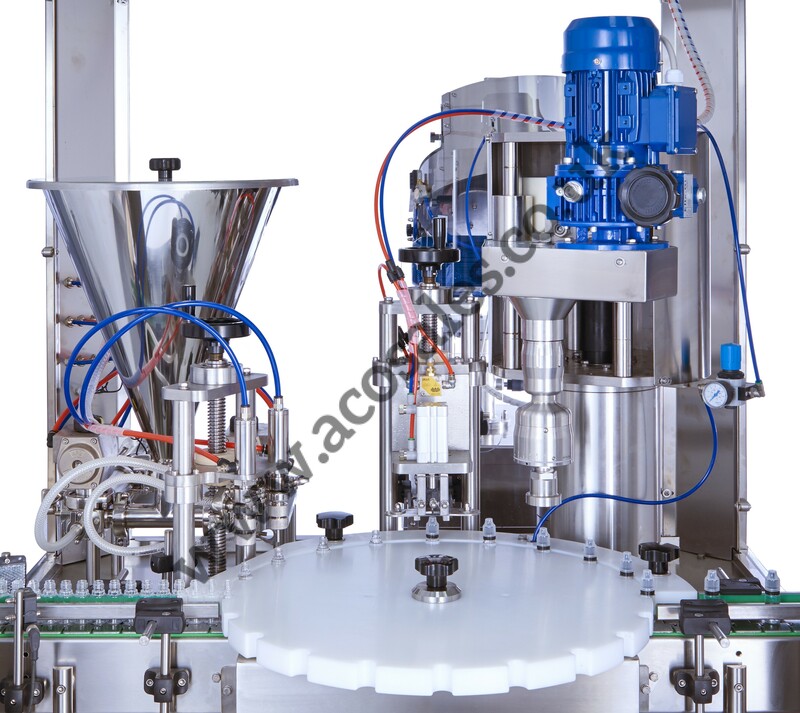 The machine is equipped with an automatic cap feeding system Ø500 with direct cap placement. 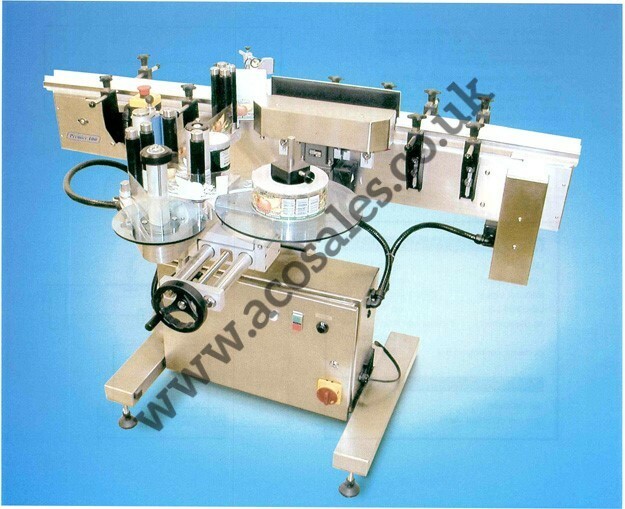 The closure of the screw cap is performed by a magnetic clutch capping head with adjustable torque. All machinery supplied by us is provided with back up of service and spares from our team of engineers.